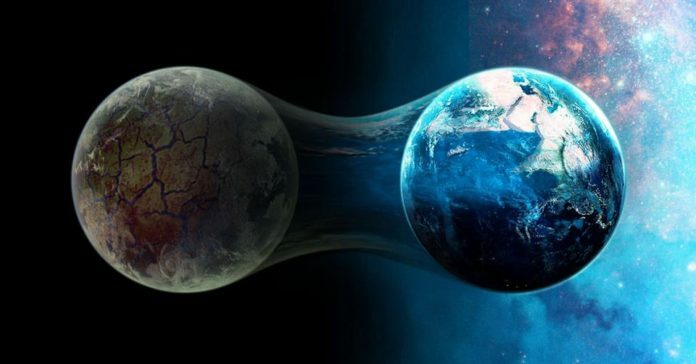 1According to late Dolores Cannon’s hypnotherapy research, a New Earth is being formed where many of us will go in the near future. Much of this is based on vibration, not only of our planet, but each individual on this planet. 31. You constantly experience synchronicities. 42. You begin to manifest your desires with ease. 53. Your eating habits change. 64. Your dreams become more prophetic and less fearful. 75. You have a strong desire for truth, even if it contradicts your previous belief systems. 86. You understand fear and release it much easier than ever before. 97. You sense a thinning of dimensions. 108. You experience glitches in time or time loops. 119. You begin to drift away from friends and family who don’t understand you. 1210. You experience unusual energy shifts. 1311. You hear high pitched frequencies. 1412. You feel a strong desire to go home, wherever that may be. 1513. You begin to experience metaphysical abilities that you never thought you could do beforehand. 16Help Gostica raise the vibrations and SHARE this article with your family and friends. You see numerical synchronicities such as 11:11, 1:11, 3:33, 5:55, etc… Also, you may notice that when you check the time, it’s the number of your birthday. This happens a LOT to me! For example, if you were born on November 28th, you may see 11:28 when you check the time, or you may be paying for groceries and it comes to $11.28. You may fill you gas tank without realizing that you put in 11.28 gallons. These are not coincidences! When you experience these synchronicities, try to be cognizant of what you were thinking about when the synchronicity occurred. You may find yourself eating less meat and more healthy, organic food and beverages. You may also find that you’re experiencing a specific craving, that you never really had beforehand, for a particular food. Once we let go of fear, there is nothing left for the subconscious mind to process at night. When we sleep, the subconscious mind is constantly trying to resolve these issues through metaphors in our dreams. If there is no conflict or fear, then you’ll find that your dreams can become quite prophetic! For many people, religion falls under this category as more and more people are becoming “spiritual, not religious“. The easiest way to do this is to shut off your television or stop reading the newspaper. Fear is a tool the controllers use to keep us in subservience, control, and conformity. Break free from these chains by releasing the fear and you’ll find that synchronicities and manifestations will happen much quicker! This is another common these as we align ourselves with those of the same or similar vibrations. As a result, family and friends will seem to fade away from our lives, even though we stay connected with them. Or, some will literally fade away as we move into higher vibrations. Recommended: Don’t Ignore These Symptoms Of Energy Shifts! In general, these high pitched frequencies are not associated with tinnitus or a Vitamin D deficiency. Sometimes, they’re very loud in one particular ear while other times, they’re loud in both ears. Recommended: Ears Ringing? The Frequencies Are Amping Up! What Does This Mean? These sounds may be associated with the rising frequencies of the Earth along with your body assimilating to these frequencies. This may be as simple as being able to see your aura or the aura of other people, or it might be an ability such as telepathy, bilocation, or clairaudience. What am I supposed to do that I cannot make myself focus now on my current life, because I simply don’t believe in its importance? I am experiencing many of these now and in the recent past. I am an empath and a spiritualist. It would be nice to discuss this with like-minded persons. I am astonished at how accurate this is for me and I can relate to every point dicussed. OMG I am experiencing all of that! What is next? I constantly hear music and have over the last 10 years developed the ability to tune in and out and even play and have fun with it – amazing! the music is further away when my vibration feels low…for years ive been trying to find more information on the smoke like patterns and shapes i see pulsating into certain patterns or just floating/drifting //hanging in the air moving insync with me sometimes. I senced that this must be some kind of energy or ? ?and have been trying to define or find anything I KNOW its this so much wonder omg but its so much better when the experience can be shared and related to from deep connection and understanding! I am experiencing 11 signs out of 13. Would like to know more. What next? What is to be done? When I was in my teens, I’d have premonition and they’d come true. Unfortunately, they all foretold deaths of known people, including one of my brothers. Now that I’m in my 40s, I’ve begun seeing strange things. And it all began in January of this year. And have become stronger after my mother passed away on January 31. I see strange things from the corner of my eyes such as dark and white things flitting across the room, high pitched sounds in my right ear that subside in a few minutes, strange whispers in the room of people talking that are indistinct, knocks on doors in the middle of the night and strange smells. The most recent tragedy that happened was when my kitten ran out of the door that was locked but had mysteriously was open and was run over. I do feel that I belong some place else. Your article has made a lot of things clear for me. Apologise for rambling. But thank you because I was completely clueless until I read the write up. Wow, I am experiencing all of these. I am going to read more about this. Thanks for posting this. I am living through all of the above points or signs for some time now. I know I am at the edge or the transition point. The beyond is all vibration and pure light. And when I wake up in bed in the morning I see the Sun rising and there is no window facing the east. It’s a concrete wall. And just recently saw a blazing triangle too in mid air. So reassuring to find this article and know this is happening with many more of us. For those asking for more info go to youtube and watch Delores’ videos. Dozens if free ones. Also dozens of books she wrote check into Qhht. Blessings.